With their loving and loyal personalities, it’s difficult to fathom why some people choose to leave their dogs in shelters. Good thing the number of dogs entering animal shelters annually has been on a steady decline over the years. Adopting pets from shelters instead of buying from pet shops will help to decrease the number even more. 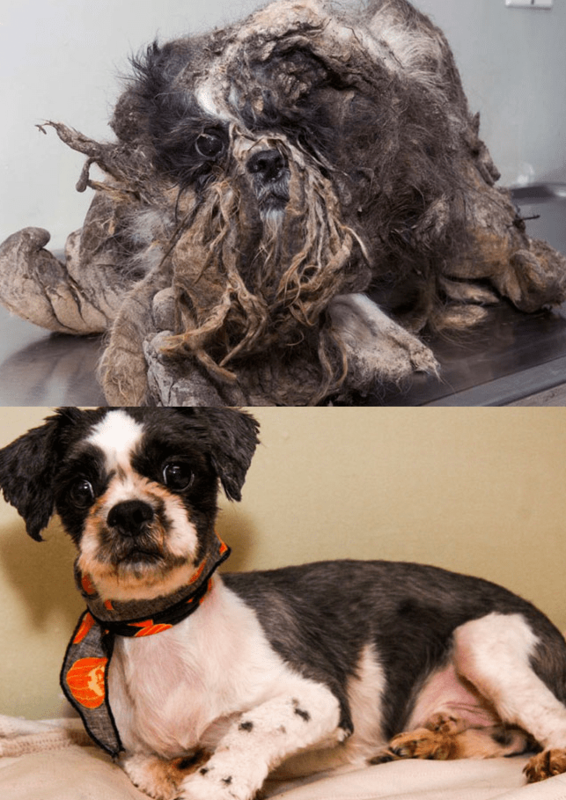 Still, some people are skeptical about shelter dogs seeing as they aren’t as pretty or well-groomed as the ones we see in pet shops. 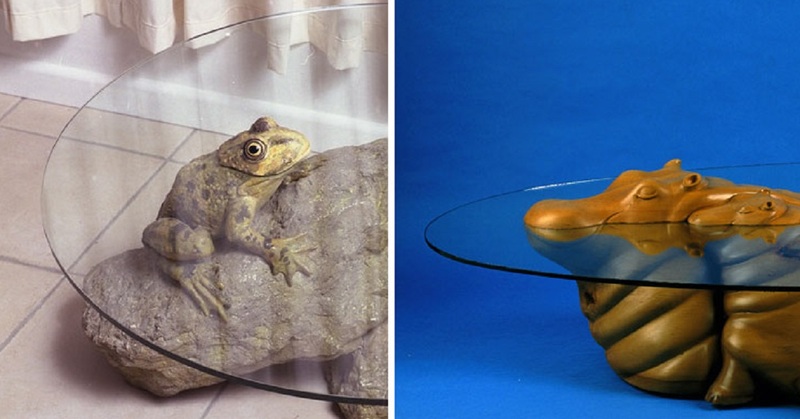 These pictures tell a different story. Don’t let their unkempt appearances fool you. These dogs are absolute cuties underneath! This dapper little dog was rescued by another shelter from a large one in the city. 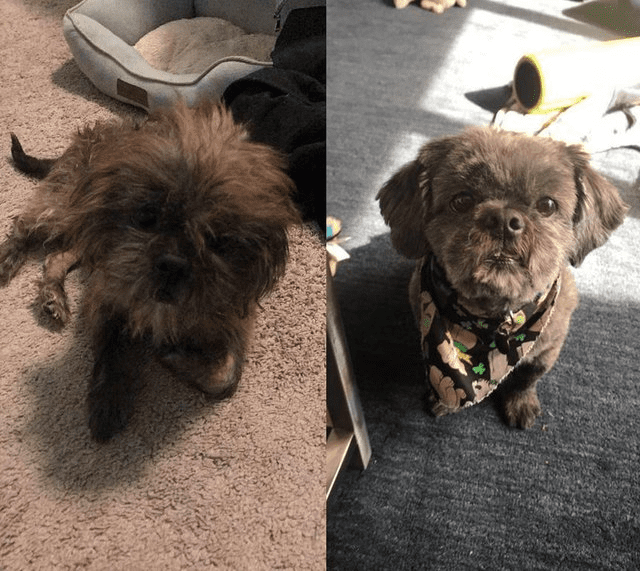 To give him a better chance of being adopted, they fixed him up a bit and gave him a haircut. 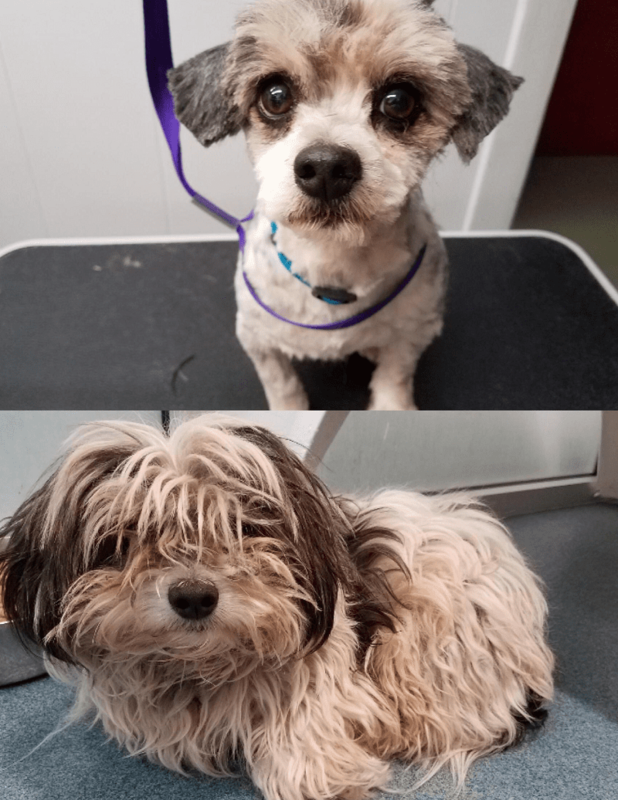 We’re hoping his new look has helped him finally find a forever home. Looking at that brown mound of hair, we wouldn’t have thought that there would be a dog in there. 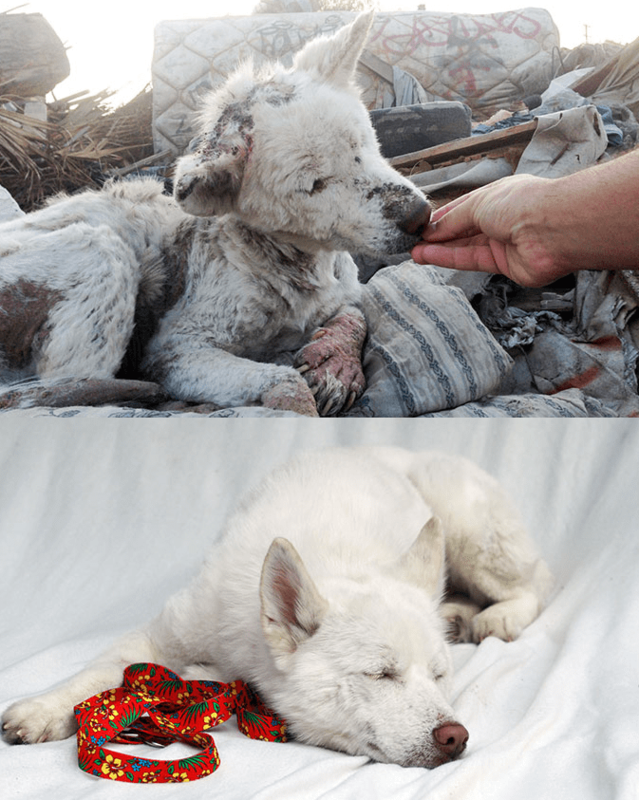 Even the people who rescued originally thought he was just a pile of garbage before finding out there was a dog underneath. 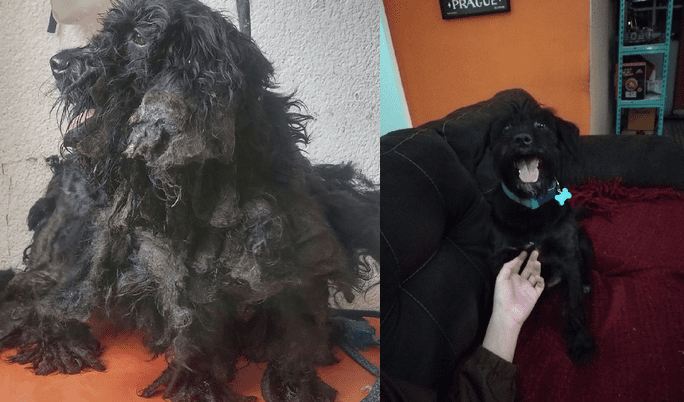 Of course, there was no better course of action than to give Rasta a very close shave to get rid of his impossibly matted hair, and he looks handsome now – as well as thankful for it. All that extra hair surely can’t do a dog any good. We definitely think Charlie looks happier and livelier now that he’s been cleaned up. 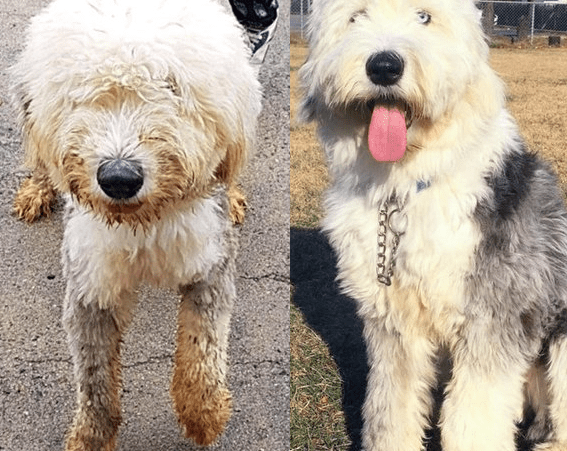 His new owner even made an Instagram account for him to showcase his new look and confidence. It’s amazing how three months of love and care changed Miley’s appearance. Just look at that beautiful white hair! We’re hoping she’s happy and well with her new mom. 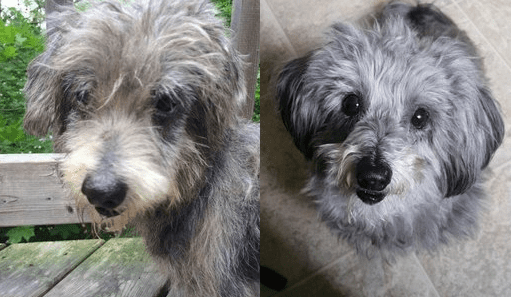 The shelter Wesley came from used to call him Matt because of his matted hair when they found him abandoned underneath a car in sweltering weather. 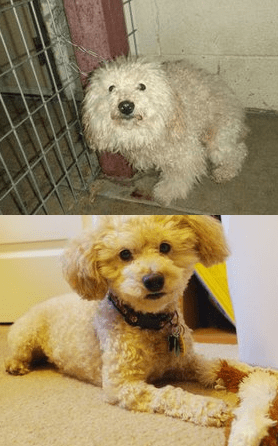 After a grooming and finding a new home, he was christened with a new name and now lives with an owner who takes good care of him. He even managed to overcome malnutrition and finally get to a healthy weight. 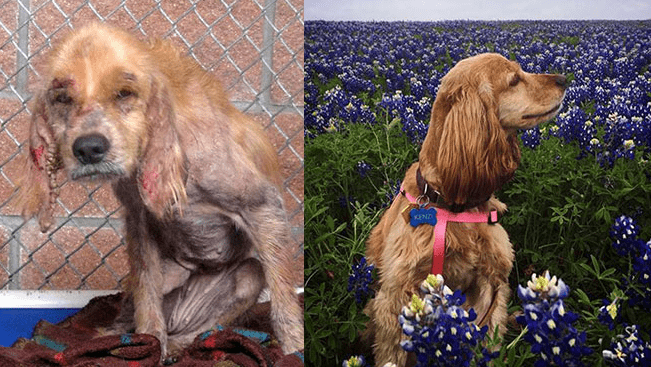 Kenzi found her way to the Cocker Spaniel Rescue of Austin & San Antonio from another shelter after suffering from severe abuse and neglect. 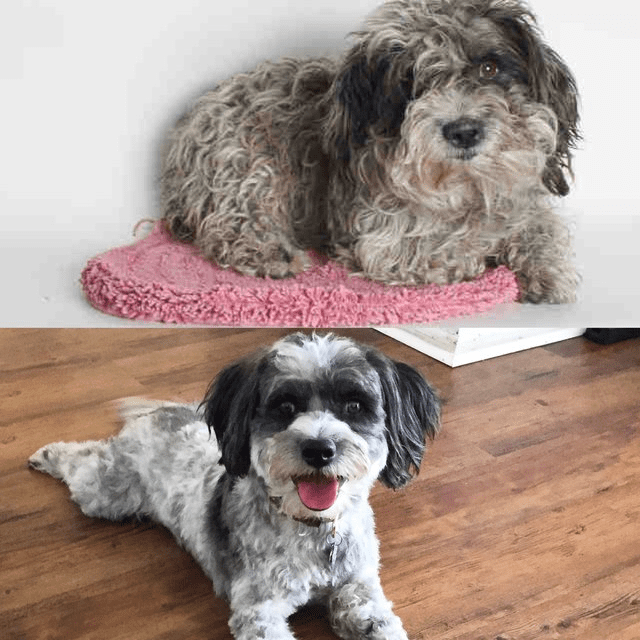 It’s a good thing she was given another shot at life when she became part of Wahl’s shelter dog makeover program. We’re betting a lot of people are lining up to adopt Kenzi now. 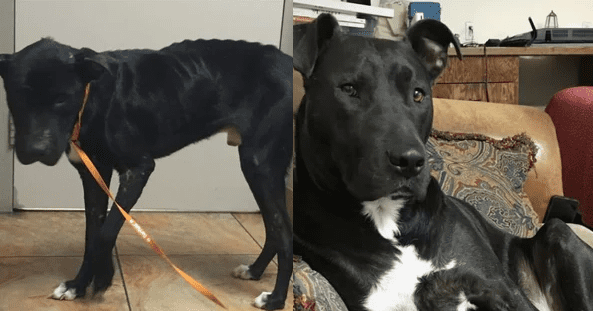 Sammi literally came a long way to find his final home in Canada. You see, Sammi was rescued all the way from Thailand where he was found abandoned together with other dogs in front of a restaurant. He was later shipped to Canada where his new owner found him on an adoption site. That’s quite a treck! 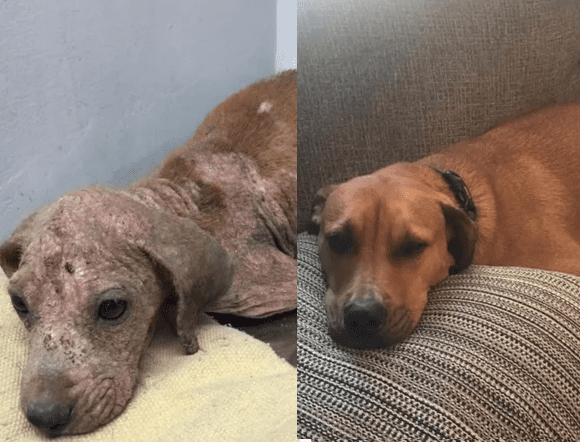 When the Trio Animal Foundation found Ellen, they weren’t even sure if she was a male or a female because of the thick and pungent hair that hid the dog beneath. After minutes of careful cutting (and a few broken tools), Ellen was finally freed from her hair cage. And now, she looks like a whole different dog ready for a new life. Looking at Oscar now you wouldn’t guess that he’s actually a senior dog. In fact, he was already nine years old when he was rescued and adopted from a shelter. 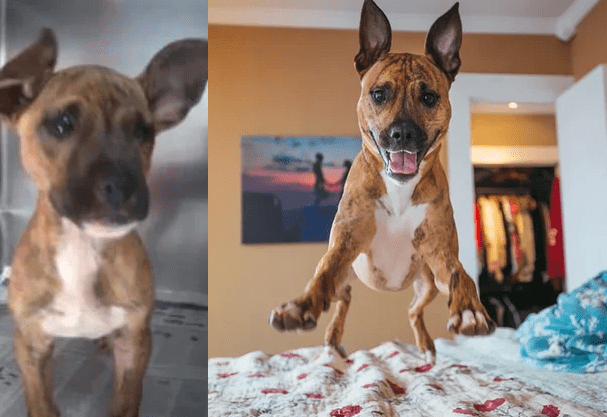 That just proves how big of a difference a loving home can make in a dog’s life. Well, hello Dolly indeed! Poodles may be notorious for being high maintenance, but it pays off, doesn’t it? A bit of good grooming definitely erased traces of her unfortunate past living in the streets. Oliver was definitely not cut out to stay in a shelter seeing as how he was bothered by the barking of other dogs. Luckily, a good family was able to adopt him and give him the kind of life he deserves. Now, Oliver gets spoiled with dog beds and cuddles. 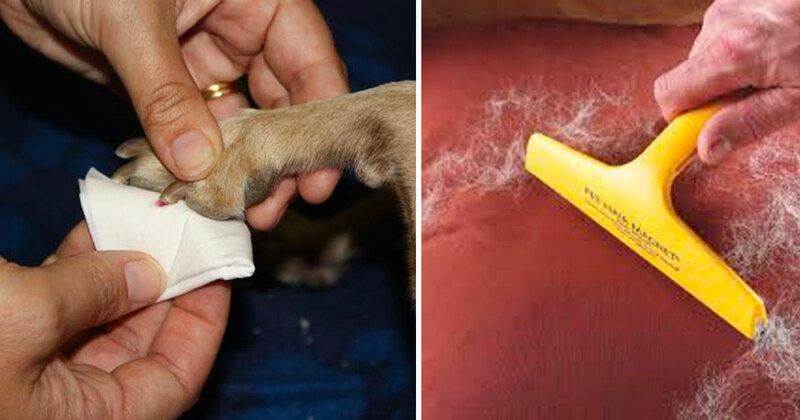 When a dog is loved and taken care of, it shows. Just take a look at Harry’s amazing transformation. It’s hard to believe only a month has passed by between the taking of the two pictures. 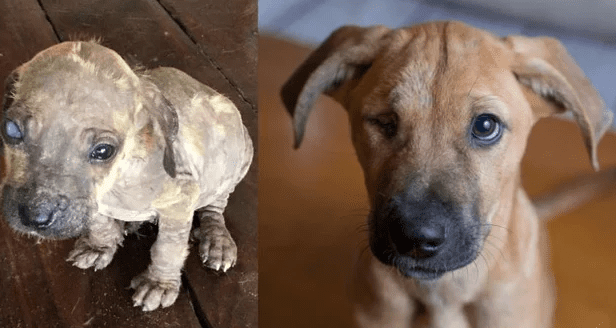 This little pup was rescued along with his siblings after being abandoned in a jungle in Mexico. 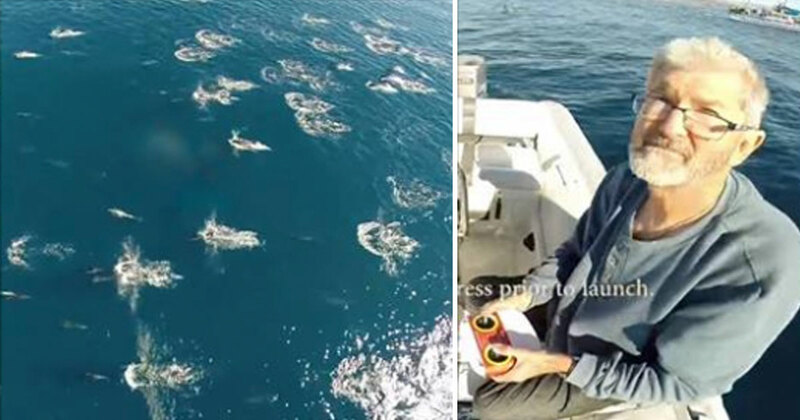 He got a new lease on life when a kind vacationing Canadian decided to adopt him and bring him home. Maverick the one-eyed dog was rescued from an abusive home before being adopted by his new family. 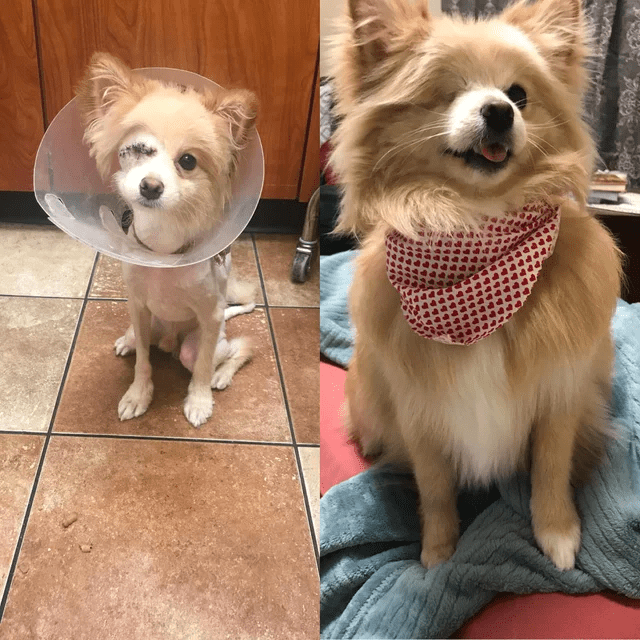 While his owner didn’t specify what caused the loss of his right eye, we’re happy he got the medical attention he needed to survive and thrive in his new and safe environment. 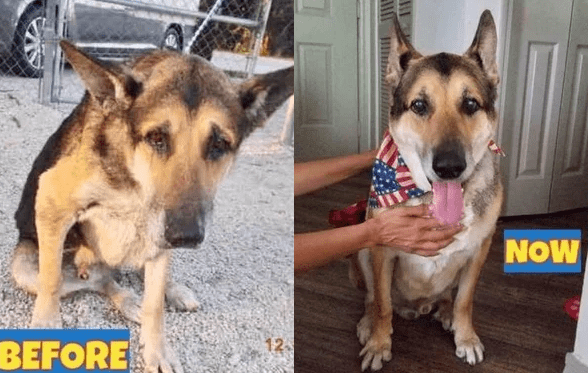 Jake is a senior dog who was abandoned at an animal shelter. 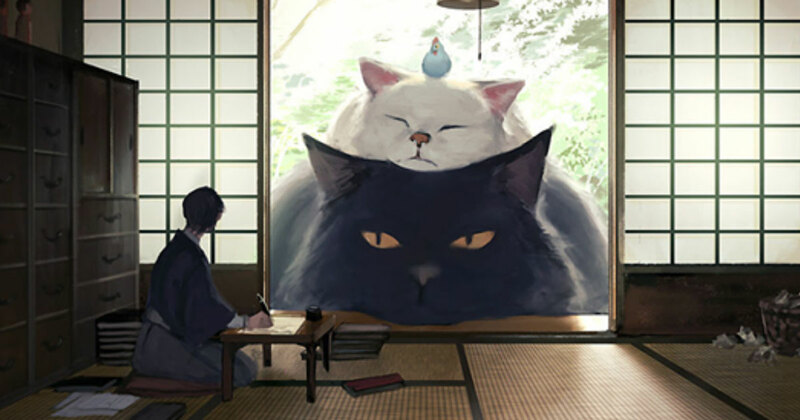 According to his new family, he would often whine and cry and look for his former family when he first came home. But after showing him kindness and love, he’s finally settled in. Penny was rescued from the streets and brought to a precinct as a small pup. She was later adopted and brought home by one of the officers at the station. 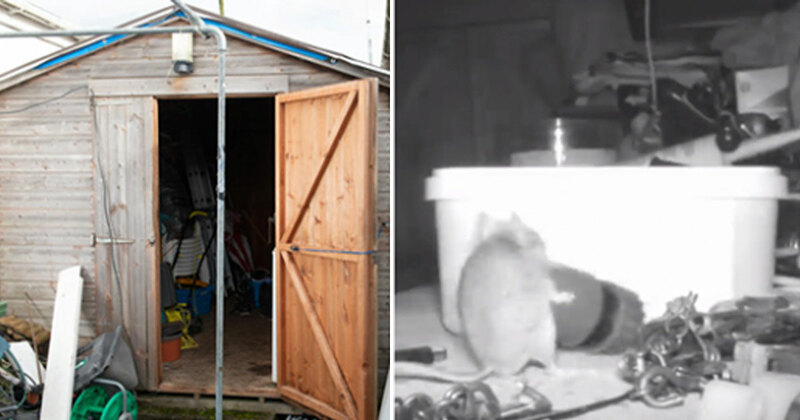 She didn’t warm up to the idea at first but soon saw her new home as a blessing. Some people just love the idea of puppies more than dogs, and this guy’s neighbor is proof of it. 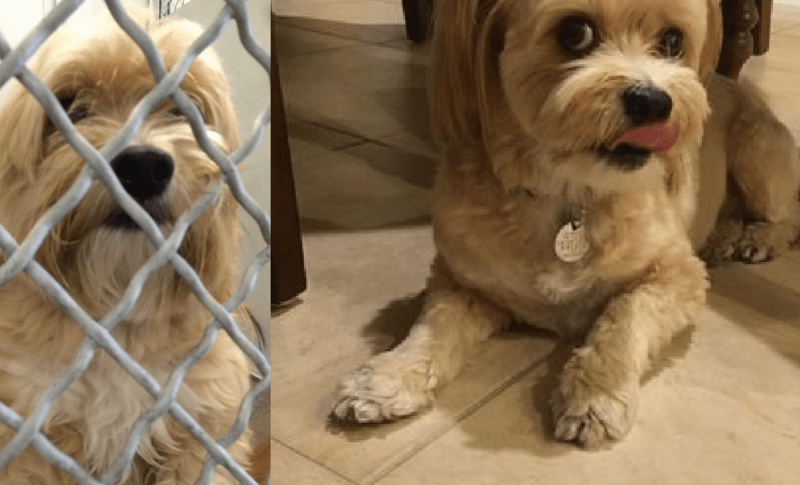 After getting a new puppy, the neighbor ditched their old dog in a shelter. 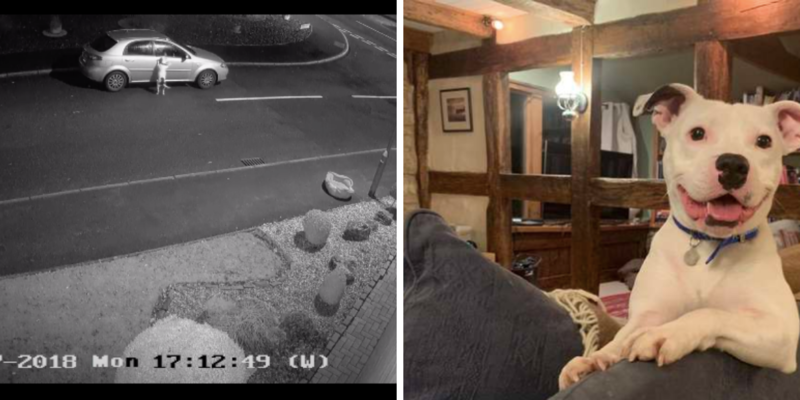 Good thing the guy found out what happened and proceeded to adopt the dog. 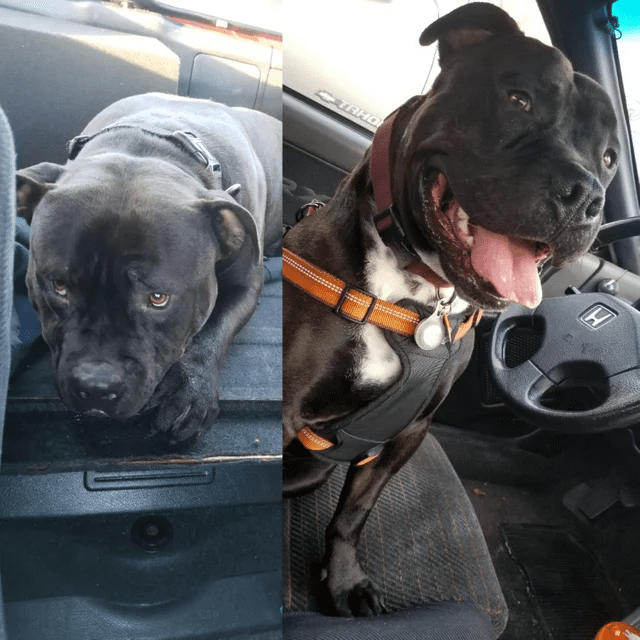 The first picture shows this dog’s ride home from the shelter and the second shows him riding around in the car with his new owner for fun. The stark difference between his dispositions is so amusing. 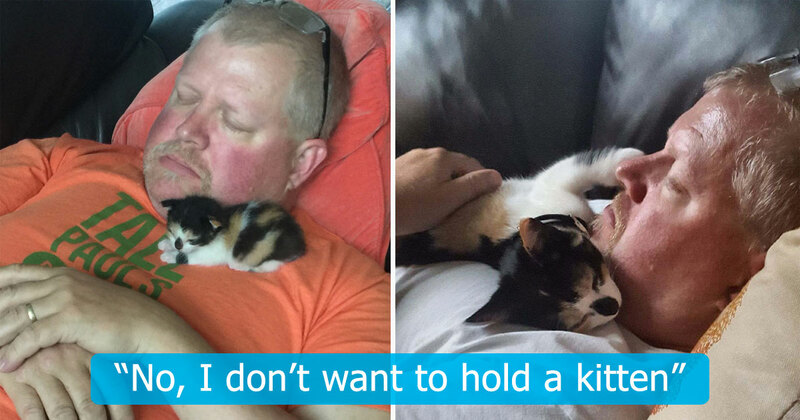 He probably missed his former family in the beginning, but we’re pretty sure he loves his new one now. 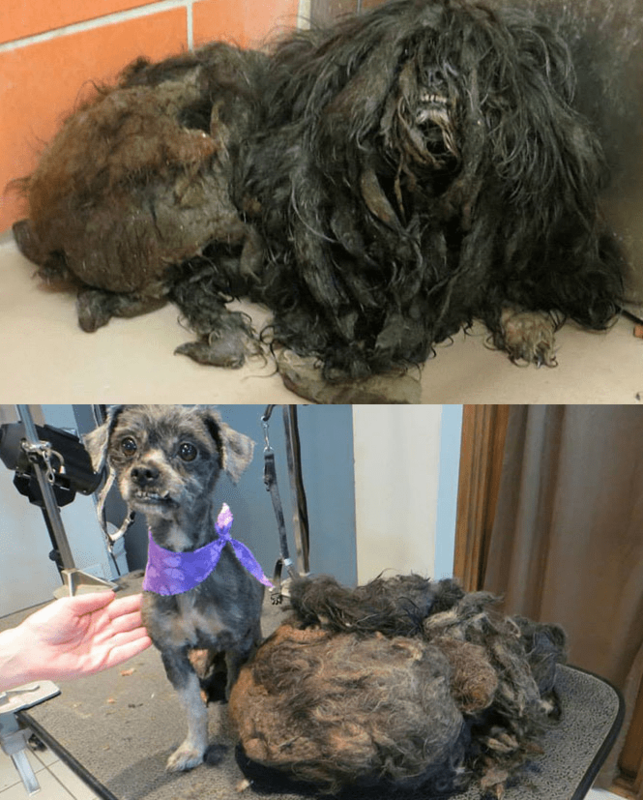 Here’s another fantastic makeover to encourage you to ‘adopt – don’t shop.’ Although the haircut and grooming definitely made a difference, we’re guessing there’s much more reason behind her smile than that. Maybe Sadie feels the love from everyone around her. Before being adopted, the street was Jamie’s only home. No wonder his fur ended up being so heavily tangled and matted. But after three months at the shelter and a much-needed haircut, he has finally found a proper home. Looking at his before pictures where he looks dirty and sad, it’s almost ironic that this dog is named Sunny. Fortunately, a family saw through the exterior to see the sunny disposition that was hiding within. With a loving home and constant grooming, he finally matches his name. It’s been years since Barkley was rescued in Puerto Rico, but he still likes to relax the same way. Life on the streets is behind him but putting his chin on a pillow still calms him down. The only difference is that he’s all grown up and nursed back to health now. Remus probably wasn’t happy when people at the shelter had to shave all his hair off. They didn’t really have a choice since he was all matted up and covered in fleas. Fortunately, it eventually grew back better than ever. 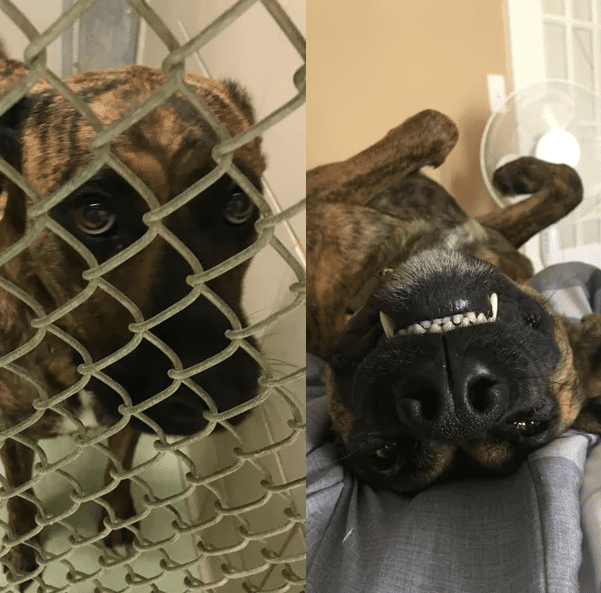 The shelter can be a scary place for a dog. Koda bear definitely didn’t like staying in one. 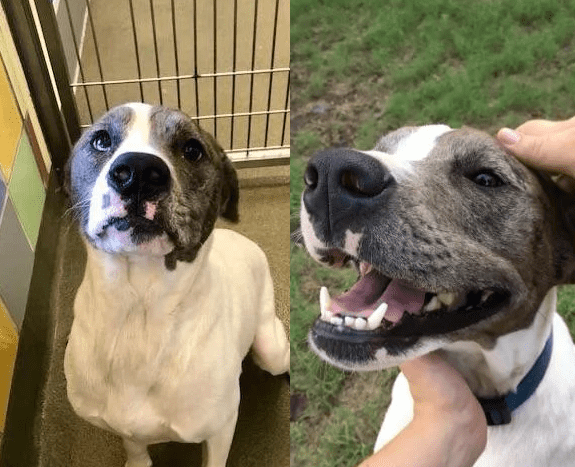 Proof of it is the night and day change in his disposition just a few months after being adopted by his new owner. 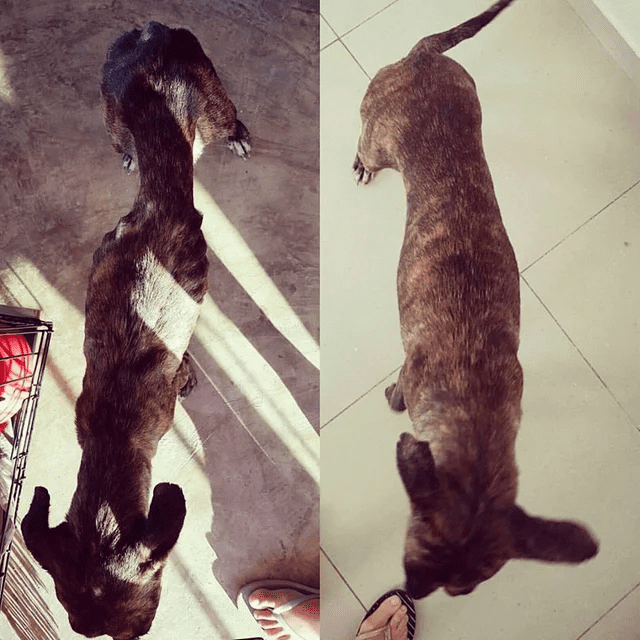 Malnutrition due to neglect is probably one of the leading health problems shelter dogs face. Roxx, a mixed breed dog rescued on the island of Curacao, is one of them. Here she is just four weeks later after getting proper care and nutrition. Pierce has had a hard life. Left to the streets, he resorted to eating cardboard boxes just to survive. 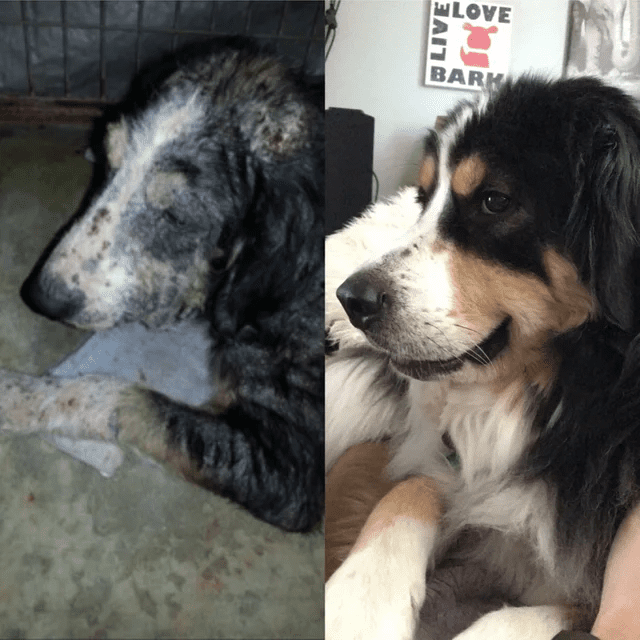 Judging from the dog bites and other injuries found on him by rescuers, he was also no stranger to the aggression of other street dogs. We’re happy he crossed paths with the right people who nursed him back to health. 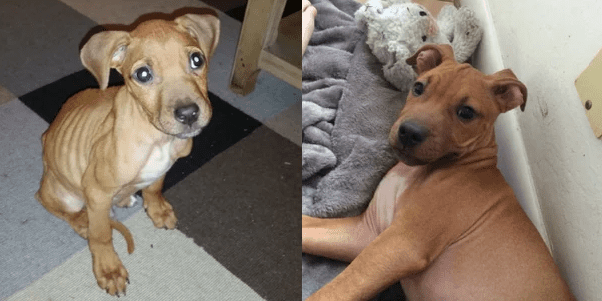 Hank was just a pup when he was rescued from an abusive home. He was left timid and scarred from the experience. The good news is, he’s finally healing from the abuse both physically and emotionally. Once you know Luna’s story, that cute smile on her face will make more sense. Found living in a drainage area, Luna was almost put down before her current owner found her on an adoption website. Conquering anxiety and being timid, she’s finally learned to feel at home in her new environment with her caring owner. Scrappy was left to live in the streets when he was just a puppy. 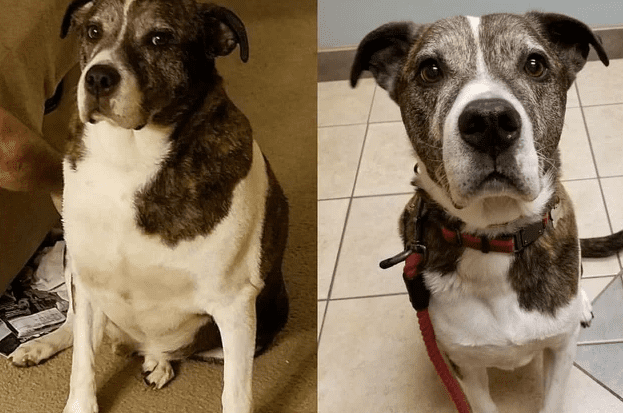 Surviving on eating scraps from garbage cans, he became underweight fast. 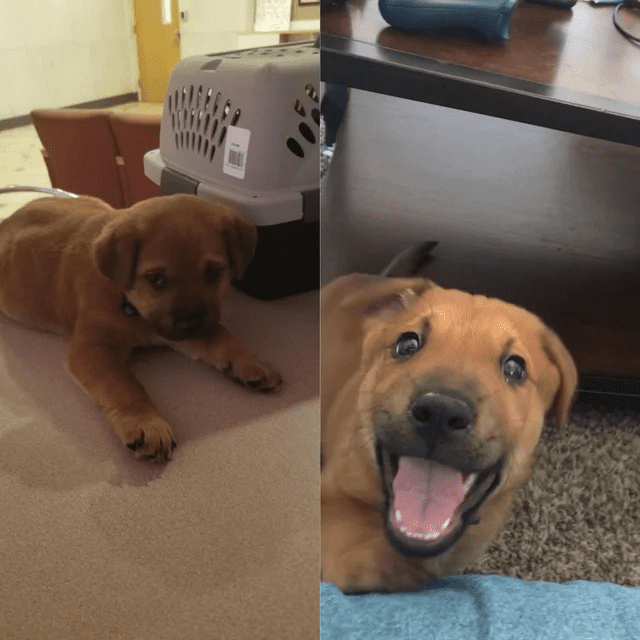 He was eventually found and rescued by one Redditor whose best friend ended up adopting him. It’s also not unusual to find overweight dogs at the shelter. After all, obesity is also a result of neglect on the part of former owners. Good thing Mondo’s new owners were determined to give him a healthy and comfortable life. After being on a strict diet, he’s now back to a healthy weight and no longer has joint problems. There’s more to a dog than their appearance. 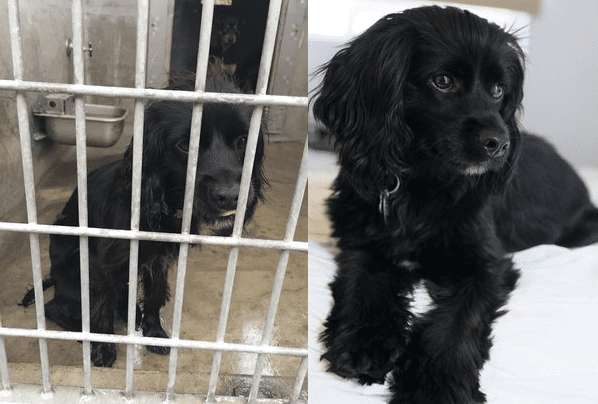 We hope these before and after photos encourage you to visit your local shelter and consider adopting instead of buying from pet shops.